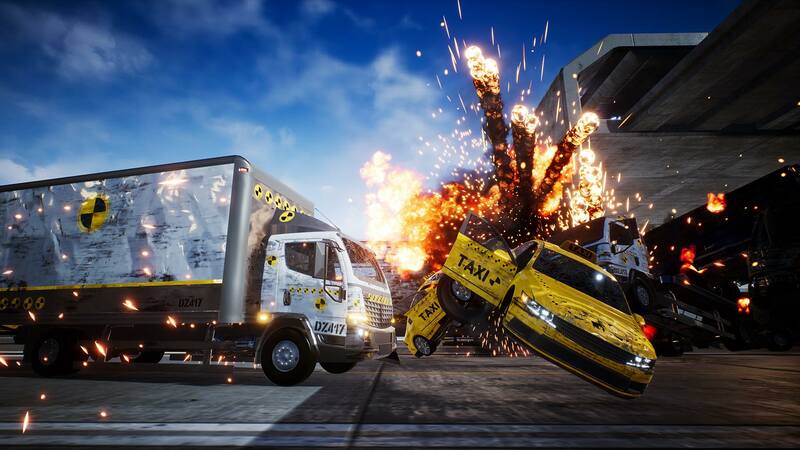 Welcome to the Danger Zone – a new virtual Crash Testing Facility. 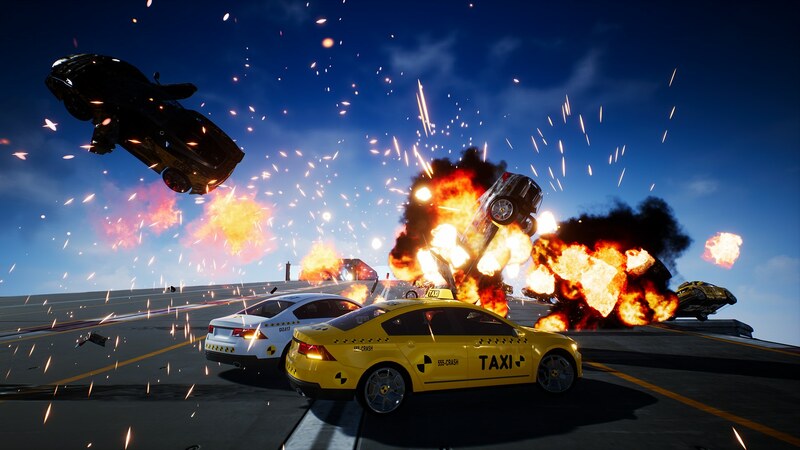 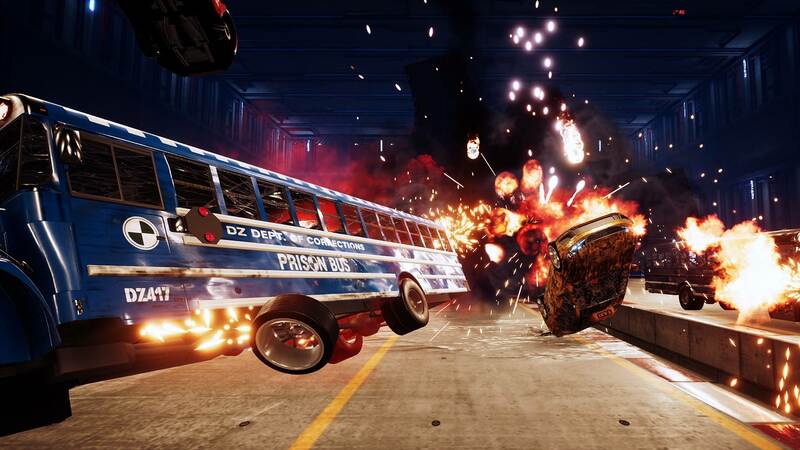 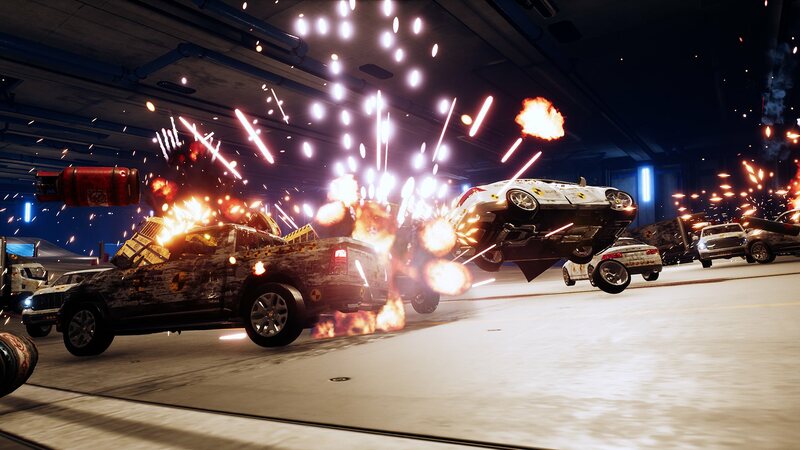 Powered by Unreal Engine, Danger Zone combines real physical crashes with explosive gameplay. 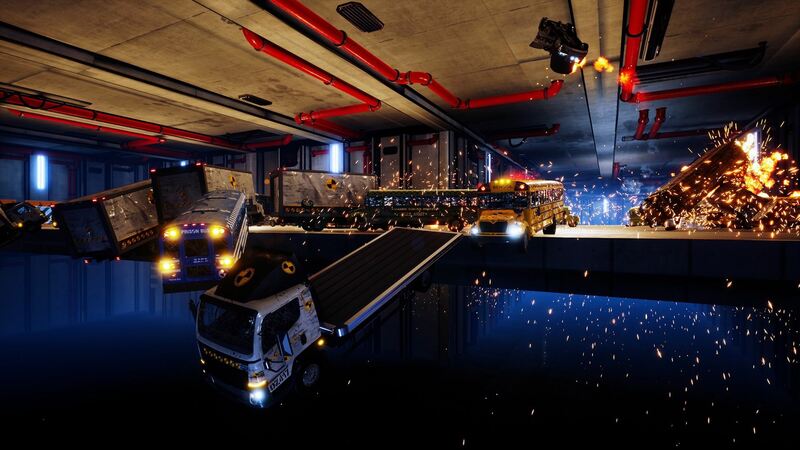 Shunt vehicles into oncoming traffic, take down trailers to shed their payloads and use your explosive “SmashBreaker” to move your vehicle around. 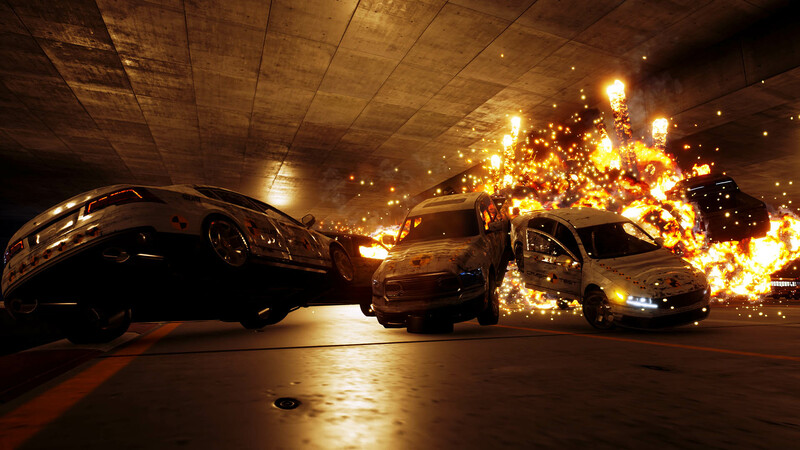 The more explosions you cause, the bigger your score. 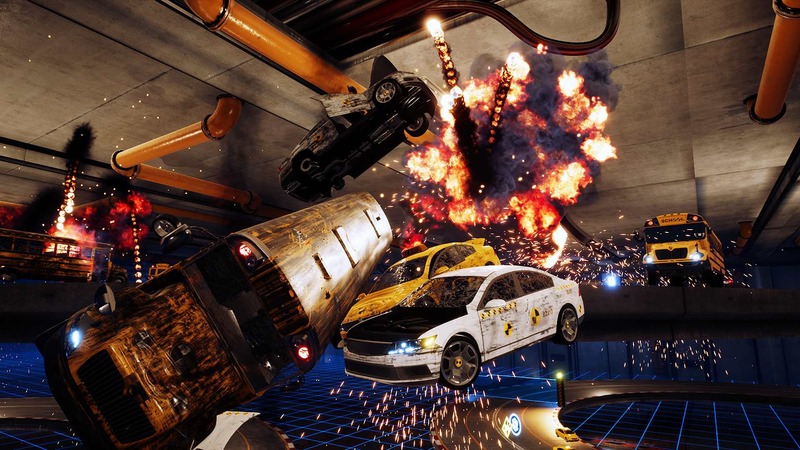 * Single Player Game Mode featuring 20 unique crash testing scenarios. 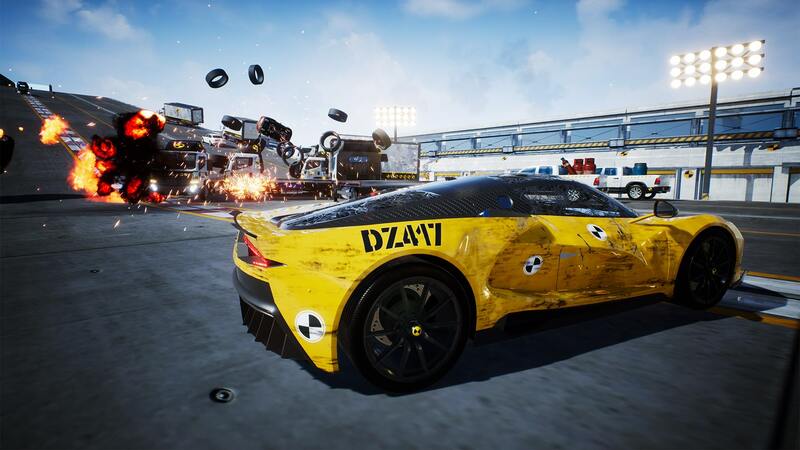 Danger Zone and Three Fields Entertainment are registered trademarks of Three Fields Entertainment Limited. 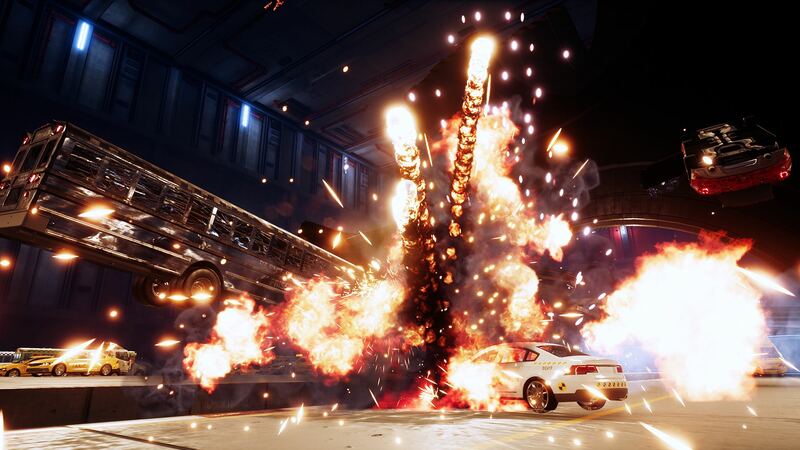 All other marks are owned by their respective owners.